When one thinks of Denver Colorado, often the first thing that comes to mind is The Mile-High City because its elevation is exactly one mile (5,280 feet) above sea level, making it the highest major city in the United States. 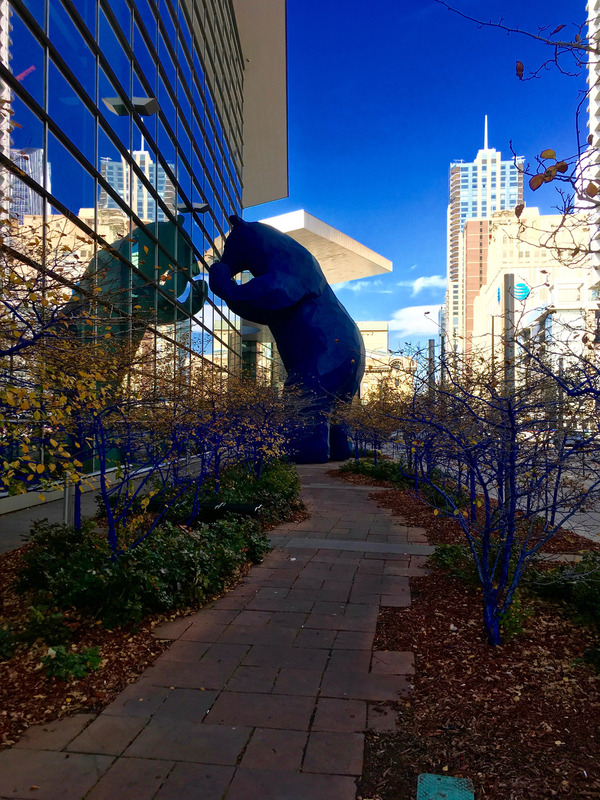 Because it is only about 12 miles east of the foothills of the Rocky Mountains, Denver is an outdoor city with 85 miles of paved bicycle trails and 800 red bikes at 87 stations (bike share program). One can ski and snowboard in the winter and hike, climb and camp out in the summer. That proximity and the many days of sunny weather, with an average year-round temperature of 64 degrees, led to the city being named in 2016 as the best place to live in the United States by U.S. News & World Report. The metro area population has approximately 2.9 million people. Since the 2010 census there has been an almost 16% increase in population with very little unemployment. I saw construction cranes everywhere and was told that one large builder offers scholarships at a local college for students completing a course dealing with building construction. They could not find enough qualified workers for their open jobs. Businesses headquartered there include: Molson Coors Brewing Company, Newmont Mining Corporation (second-largest gold producer in North America) and MapQuest. Other large employers include: Lockheed Martin Corp., United Airlines and Kroger Company. I was told that Smashburger, Chipotle Mexican Grill and Quiznos were founded in Denver. Did I mention the 35 breweries on the Denver Beer Trail with over 100 different brewpubs and breweries in the metro area? www.visitdenver.com. I was the guest of Visit Denver for my four-day visit that included airfare from NYC and the availability of Hermes Worldwide limo service while in town. Airport to hotel; hotel to downtown for my walking tour and then back to the hotel. Downtown for a free day of touring and to my new hotel The Brown Palace. Finally, back to the airport and home. Founded in 2007 by Jorge Sanchez and his wife Rocio, Hermes Worldwide has 30 vehicles and the best and most professional staff I have ever encountered. A big shout out to them for making my trip so enjoyable. www.hermesworldwide.com. I was in town for the Denver International Wine Festival run by Chris & Darcy Davies and their company Wine Country Network (I write for their magazine). Named “One of the Best Wine and Food Festivals in America” by Food & Wine Magazine. www.denverwinefest.com, www.winecountrynetwork.com. I was a guest of the Denver Marriott Westminster Hotel that was the site for the 13th annual wine festival. Located a half hour from the airport and equidistant from downtown Denver, Boulder and Golden, it has 215 rooms with a fitness center and indoor pool. I found it very convenient to ride down the elevator and into the wine festival. www.denvermarriottwestminster.com. Thursday night was the Pairsine Chefs Fine Food & Wine Competition with 10 chefs/restaurants in addition to vendors for non-wine products. The silent auction items benefited There With Care. There was a VIP early admission area that included wine seminars and a private room with a raw seafood bar and premium cocktails and additional wines available. VIP admission- $195; regular admission- $120. Friday night was the Grand Tasting of International Wines that had 80 wineries and distillers with food and food products as well as wine accessories and another silent auction- VIP- $175; regular- $95. The following is an overview from both of my walking tours (the second one occurred when I moved to the Brown Palace Hotel located downtown). In addition, the nice drivers from Hermes pointed out many of the sites before dropping me off. I did not visit any museums or any of the sports venues. Visit Denver arranged a walking tour of downtown Denver that started at Union Station. My guide was Austin and he knew his stuff. Union Station is a working transit station that was built in 1917 and was renovated starting in 2002. There is an Amtrak hub and bus concourse. The neighborhood is called LoDo (Lower Downtown and it is within walking distance of the financial center). Behind the station there is a light rail system that one can ride to the airport for a cost of $9. The station reminds me of NYC’s Grand Central Station with its dining options and boutiques. I only wished New Yorkers had a train to the plane. In addition, there is a hotel- The Crawford within the station (I hope the rooms are soundproof- they are). I relaxed on the benches and people watched. Everything was so clean for a working terminal. 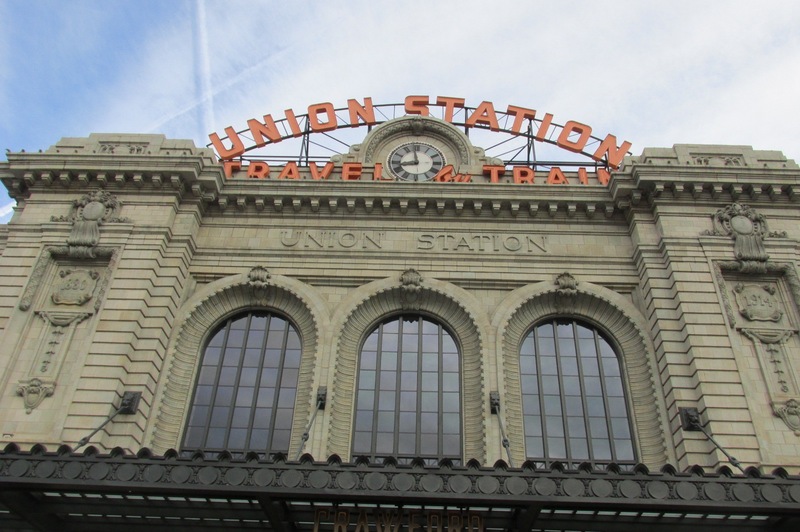 www.unionstationindenver.com. 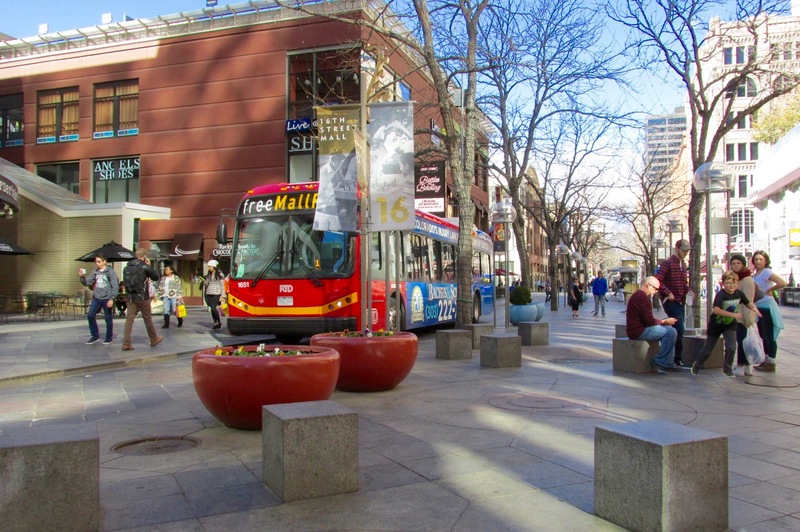 The 16th Street Mall is to Denver what Rodeo Drive is to Los Angeles. 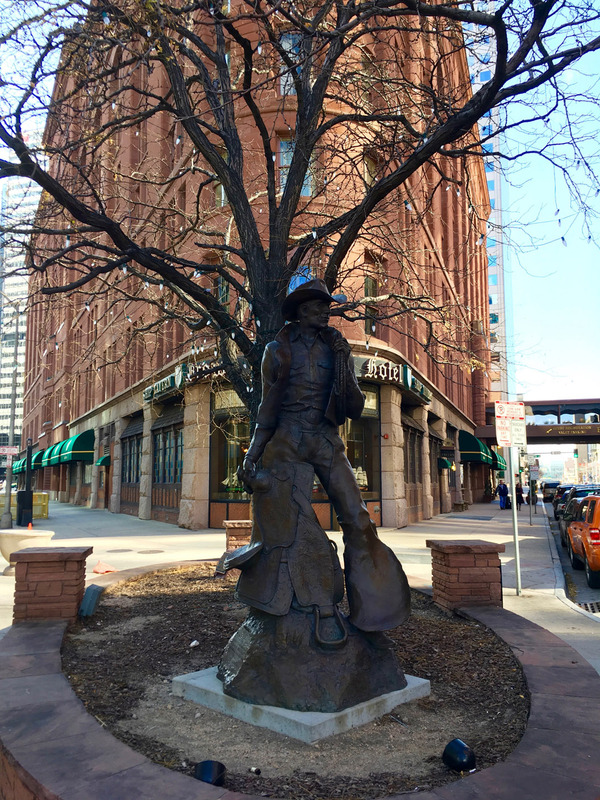 This mile-long pedestrian thoroughfare, which stretches across the southern end of the LoDo district and bypasses Larimer Square, is lined with a variety of stores, restaurants and entertainment venues, making it a popular place to visit. My only problem was the homeless population who often sit along the mall and/or in the parks. I never felt threatened especially with the large police presence. I am told outdoor smoking is now banned along the mall. www.16thstreetmalldenver.com. Denver’s gourmet food hall and grocery, located in RiNo. Showcasing 11 of Denver’s top chefs and food purveyors. I choose Vero- with hand-made pasta and wood-fired pizza. Street Art- Many of the works were business or community commissioned, while others were unsanctioned paintings or graffiti — all are in the open air for anyone to view and enjoy. They are often found in alleyways, under bridges or in abandoned lots. The 241-room Brown Palace Hotel (AAA Four Diamond) and Spa was built in 1892 in the Italian Renaissance style using sandstone and red granite. It is on the National Register of Historic Places and is the second-longest operating hotel in Denver and one of the first atrium-style hotels ever built. It joined Marriott’s Autograph Collection Hotels in 2012. It was named for its original owner, Henry C. Brown, who donated 10 acres for the new capitol building. The hotel was built on a triangular piece of land with an iron and steel frame covered with cement and sandstone and was one of America’s first fireproof structures. There are six tiers of cast iron balconies to the stained glass skylight. The spa opened in 2005. The silver drinking fountain in the lobby is from the hotels artesian well located 750 feet beneath the hotel. An escalator to the second floor was added in 1959 to cross over Tremont Street to the now named Holiday Inn Express (22 story- 231 rooms). The spa is located on the fifth floor of this property. There are free-guided tours on Wednesdays and Saturdays at 3PM for overnight guests. The honey from rooftop bee colony is used in the spa products sold in the hotel. Afternoon tea is a highlight as is Ellyngton’s Sunday Champagne brunch (which I attended). Costs start at $53.95. Children 6-12 cost $20.95 and those under 5 are free. 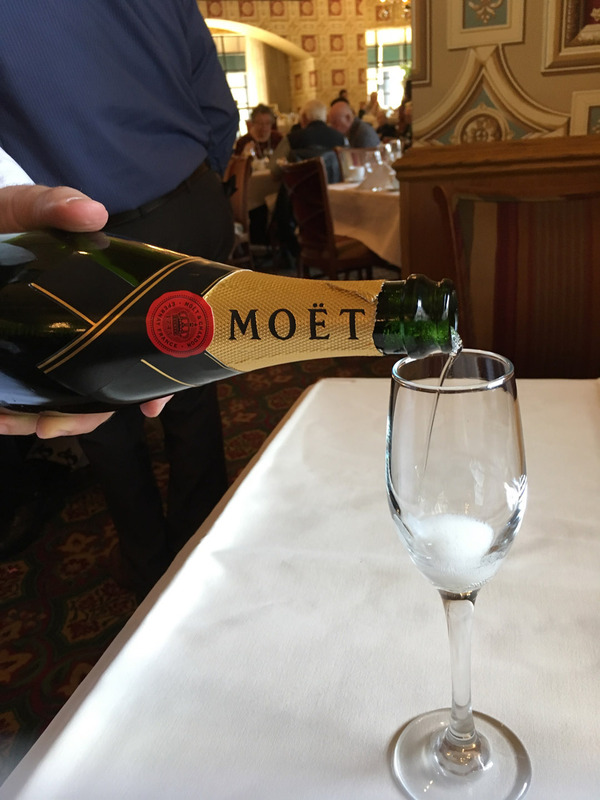 Add $10 if you want Domaine Chandon California sparkling wine; $73.95 for Moet & Chandon. Dom Perignon is $315 a bottle. My four days in Denver were eye opening. I love NYC and where I live on the Upper West Side. If I ever did decide to move Denver would be my first choice.